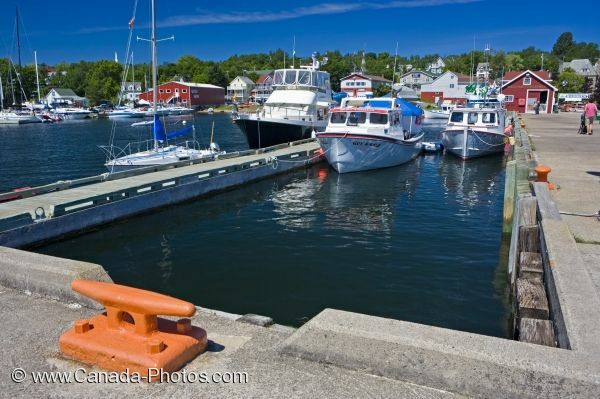 The town of Baddeck in Cape Breton, Nova Scotia is located along the lake shores of the Bras d'Or Lake and has a fair sized marina and yacht club where people come to moor their boats. A charming town that has a lot to offer especially during the summer months when people enjoy full use of their boats and the outdoor activities that take place on and around the lake. Picture of pleasure boats and sail boats in the marina in the town of Baddeck along the Cabot Trail in Nova Scotia, Canada.